People spend a lot of time on their own in the city, and even when they’re not alone they may as well be because there is minimal human interaction with strangers in cities. After much research and debate and realising that creating a new city wasn’t really that exciting to me, I have decided to focus my thoughts towards the Hidden Loneliness of the City. 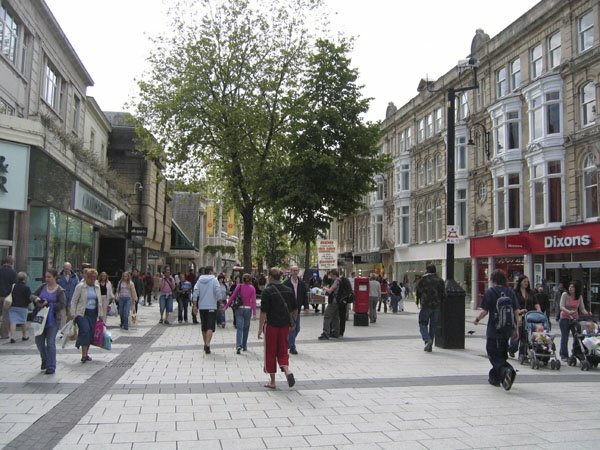 Above is a typical image of Cardiff’s Queen Street, there are many people walking around but no one is interacting with one another. There is a hidden loneliness. It is fascinating to me that in the city, you can be around so many people but be so alone at the same time. 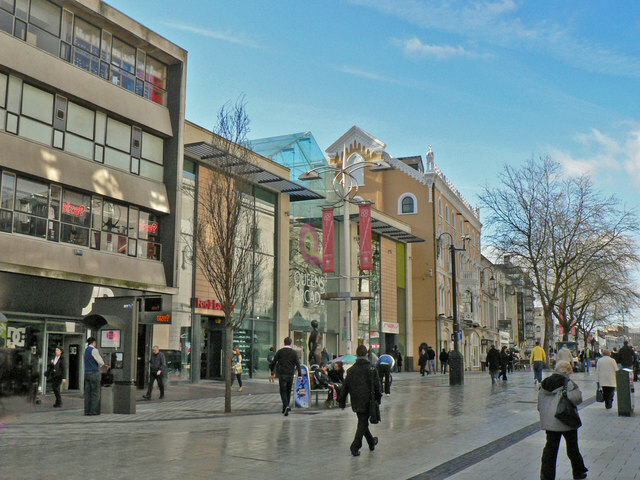 The city is considered a very busy, fast pace and social environment to be in. It is highly interesting to me, that even though there are so many people, there is a hidden loneliness. It is fascinating to me that when walking through the city, there are thousands of people around you but you may as well be on your own. No one converses with anyone and unless you know somebody being in the city can be a very lonely place indeed. People probably don’t realise it, but the majority of city occupants go through the whole day wandering around the city and speak to no one. Being from a far more rural background, where everyone says hello to everyone, it is of deep interest to me how city life differs. Cities are not as laid back, everyone is trying to get some where or is in the city for a reason. Public transport echoes this notion within cities. Just like in crowds, unless you get on the bus or the train with someone, it is doubtful that you will speak to anyone during your journey. It is easy to think that there are so many people around you that you cannot possibly be lonely but living in the city is a lonely existence for most. Travelling in cities in general has a hidden loneliness, people do not want to talk to the stranger next to them, but they have a fear of and are conscious that they are sitting there alone so turn to technology like their phones, i-pads or i-pods. I think having headphones in hides the loneliness around you. You could commute all day, see incredible amounts of people and converse or catch eye contact with no one. However, society in cities has become lonely because it is unrealised, it’s normal to avoid contact with others in cities and it’s routine to commute to work alone etc. It is a misconception that only the poorer people are lonely within the city, although lower classes experience this, it is just as likely for a highly rich businessmen to experience loneliness. Commuting alone and waiting for the train is an everyday lonesome routine to them. Many Richer people live in expensive apartments alone and even though they are portrayed to be happy, many would give up the money for a friend or more human interaction. After researching this topic, I learnt that the percentage of single households within cities is on the rise. 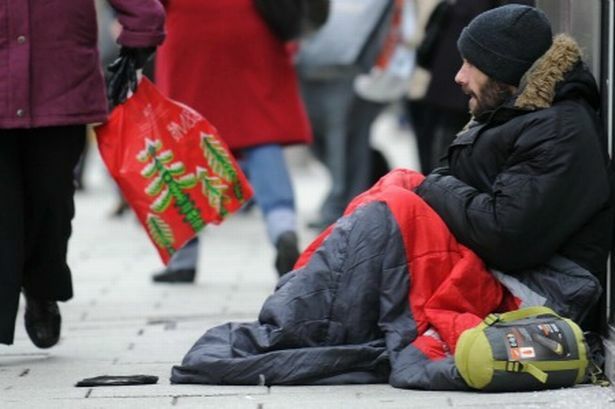 If this hidden loneliness continues to become the norm, what are our cities going to be like? Being overlooked causes loneliness in the city. The homeless go unnoticed, they are in the inner city all day and may some days not even engage in eye contact with another person. This is the same with Big Issue salesman, on their own in the streets trying to sell their magazines to get by. Busking must be similar, because even if some money is thrown in your container, the person may say nothing and not even acknowledge you. There are other ways of looking and analysing this hidden loneliness and far more questions to be asked. Do people make themselves lonely? Why is it that people avoid contact with others in cities? Are new technologies such as smart phones eradicating the need for actual human contact throughout the day? Are people actually aware of this loneliness? Do people try to hide the fact that they are lonely through having people they don’t know as friends on social networking sites and answering fake phone calls in public? It is a sad affair that city life is a hidden lonely existence. It is ok for people who go home to their families or spend time with friends in the evenings, but what about those people who live alone or have no one. I think the city must be an incredibly lonely place for the older generation. They don’t really bother with technology and so if they live on their own in the city, the only time they may talk to anyone is if a relative rings them or visits. I can’t imagine what its like for them, they have watched our cities turn into these lonely places. When they were younger cities were nowhere near as big and people always spoke or said good morning. Many Old people who don’t have anyone left could not be interacting with anyone or engaging in conversation for weeks. Loneliness in cities can be escalated by missing people. Many students have moved away from home, and people have come to the city to better their situation or for job opportunity and left people behind. THIS IS OUR HIDDEN CITY. A city of fast pace lives that are surrounded by people but are also so alone. I intend to create art work that highlights the loneliness of city life. I intend to artistically explore a variety of different angles and observations of the hidden loneliness within cities and explore the reasons behind it.